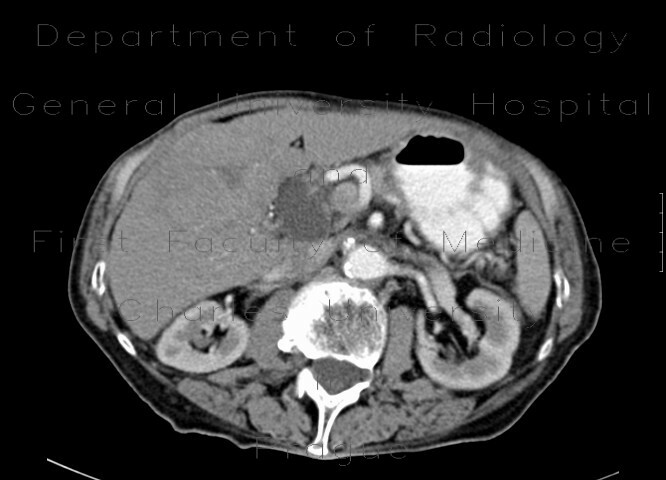 Non-homogenenous extensive mass in the right lobe of the liver. Early enhancement of areas with neovascularisation from the hepatic artery with early wash-out, the lesion becomes relatively hypodense compared to the remaining liver in the later phase. Thin capsule due to compression of adjacet parenchyma.